When you or your employees travel abroad, you’ll be charged foreign VAT on the goods and services that you buy. VAT or other sales taxes are aimed at that country’s citizens. 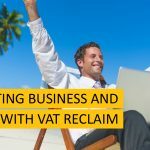 A business travel visitor like you can make a foreign VAT reclaim to get that tax amount back, by filing for a VAT refund. A VAT return can be extremely complicated to complete correctly. You’re often dealing with a number of different countries, each with their own VAT refund regulations. Your VAT return might involve multiple different languages and currencies, many different types of expenses, and a muddling mix of personal and business expenses in the same VAT invoice. 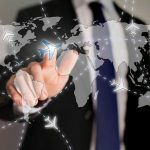 Faced with so many challenges, it’s understandable that as much as £15.3 billion of refundable foreign VAT charges go unclaimed by business travelers each year. Even more foreign VAT charges go unrefunded because the VAT refund request was completed incorrectly. If that’s happened to you, read these 5 common foreign VAT reclaim mistakes that will get your VAT return dismissed, so you can avoid them in the future. The foreign VAT invoice that you submit with your VAT return usually needs to be made out to the company, and show both the company name and the company tax ID. If the VAT receipt was issued in your name, your VAT reclaim request is very likely to be rejected. Find out when you need the company name and tax ID right here. Submitting a foreign VAT reclaim for goods imported from a supplier brings its own confusion. The supplier often sends you a payment request, which includes the foreign VAT to be paid. Then they send the receipt of payment after you settle the bill. You end up with two documents, each of which shows the total amount of foreign VAT – but only the receipt of payment counts as a VAT invoice for your VAT return. If you send the payment request as part of your VAT return, your VAT refund will be denied. In an ideal world, your supplier always charges the right amount of VAT. But let’s be honest – your supplier is only human. In certain countries, the VAT laws are very complex, making it easy to make a mistake if you aren’t an expert. It’s also common for different good or service purchased to be listed on a single VAT invoice, but without making it clear that each item has a different rate of VAT. Unless you check every invoice before submitting it (which is impractical in a manual VAT return system), you could end up requesting the wrong foreign VAT amount on your VAT reclaim for many of the listed items. The VAT receipt that you submit for your foreign VAT refund needs to follow the VAT reclaim guidelines for that country, but it can be hard to be sure when your receipts are in different languages and have differing formats. It’s important to check that your VAT invoice complies with local VAT reclaim standards. In general, you’re required to send or scan the original VAT receipt. A receipt that’s marked ‘copy’, ‘duplicate’, ‘not an original VAT receipt’, or other similar wording won’t be considered proof of foreign VAT payment, and won’t be accepted for a VAT refund. It’s easier than you think to accidentally claim a VAT refund for more than you paid, especially if you get a later discount or refund on the purchase. Your original VAT invoice might list the full expense, including the full amount of foreign VAT. A later receipt covers the discount or refund, which lowers the total amount of VAT that you ultimately paid. Submitting a VAT return for the original amount of VAT means claiming more than you paid. If this happens, you could be fined for making a fraudulent VAT claim, as well as losing out on the VAT refund. Foreign VAT reclaim mistakes are easy to make, but you can prevent them when you use the right tools. For all the details about filing successful VAT returns in the EU and other countries around the world, download our eBook.